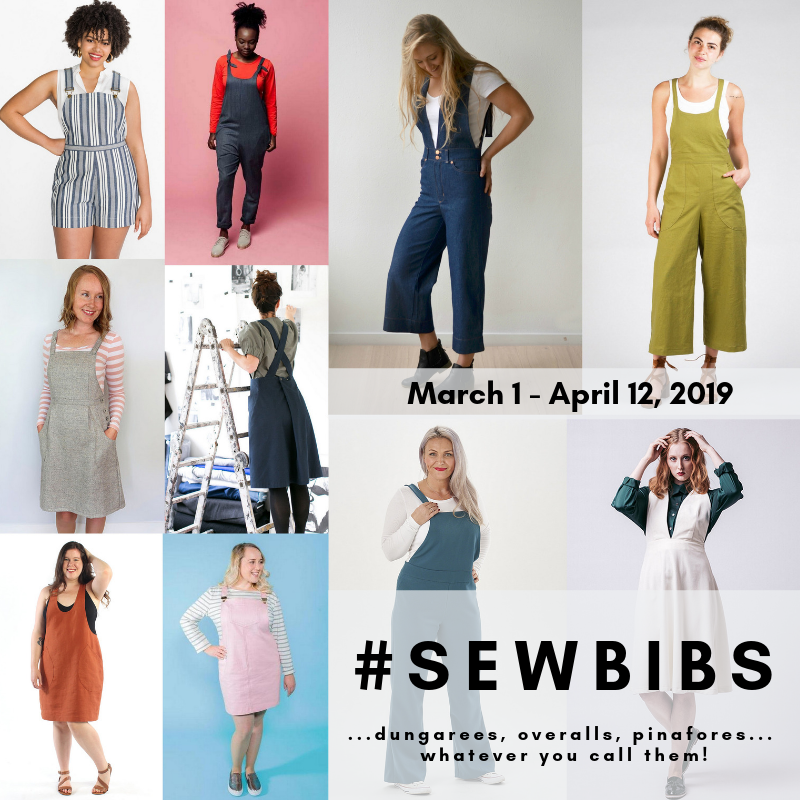 I’ve been unsure what to do regarding sewing for myself since I entered my second trimester of pregnancy. I initially thought I was going to try to make do with only the maternity clothes that I already have, but the trouble is that both of my boys were born in the Summer. Andrew was born in the middle of July and Luke was born in the middle of September. (Usually here in the Chicago area the weather is still pretty summery in mid-September.) So the majority of my clothes for when I’m big and pregnant are summer clothes. I have a few sweaters and a three long sleeved t-shirts that have been in heavy rotation. After sewing so much for myself in the past year it is kind of depressing to have no me-made clothes that fit. A few weeks ago Straight Stitch Designs released the Ballard. I saw a few tester versions of it on Instagram and thought it was really cute. The open back is a really cool feature that gives it some interest and I like the gathered, scooped neckline. I started wondering if I could make a maternity version of it. I found this tutorial and decided to try it out. I knew I’d have to make the front piece bigger to accommodate my belly, and increasing the width with sort of an S-curve starting under the bust worked perfectly. I made the front a few inches longer than the back and gathered the sides on the front piece before sewing the side seams. I used fabric from my stash that I wouldn’t be too sad to lose if the shirt didn’t work out. Now I wish I had not used that sheer pointelle knit for the front because it’s really not warm. I also only have 1 tank top that sort of fits to wear under this. 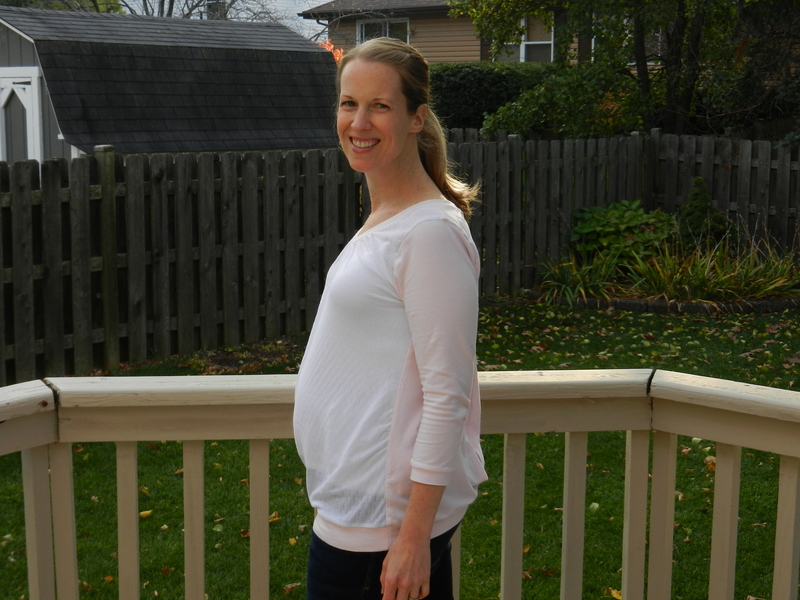 I need to get an actual maternity tank that will be longer and will work better. I initially made the neck band out of the white knit, but it doesn’t have very good recovery and one side was too loose. 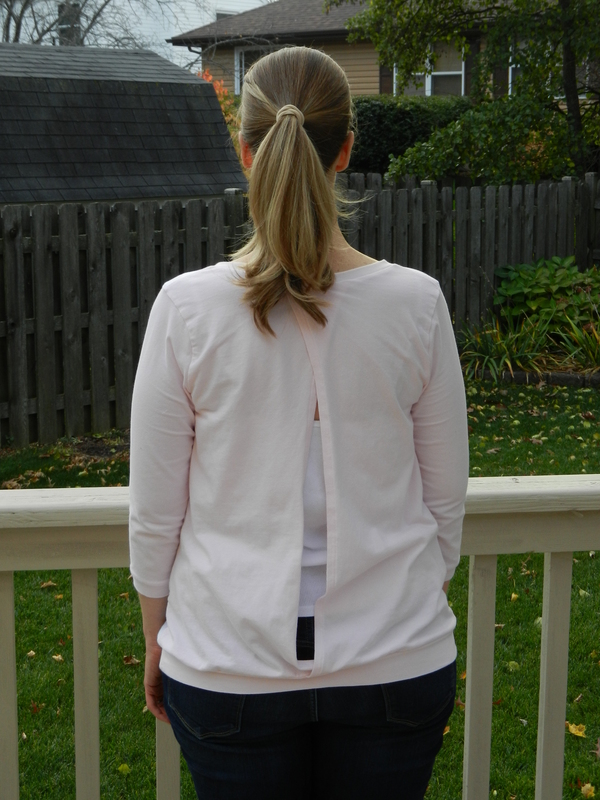 I unpicked it and used the pink laguna jersey for the neckband instead. It is a lot better, but my front gathers sort of spread out a bit when I was fiddling with the neckband. I really like this top and I want to make another if I can find some good fabric. For the next one I will do a forward shoulder adjustment of about an inch and I may try a sloping shoulder adjustment, too. There is some pulling from the side of the neckband to the armscye and I think the sloping shoulder adjustment may help that. I think the arms run small on this top (or maybe my arms just run big.) I made a size 10 graded out to who knows what at the waist but went for a size 12 in the sleeves because they looked small. I think I will add some more with to the sleeve next time and gather the top a bit if it’s too much to ease in the armscye. I ended up shortening the length by about 3 inches and I made the waistband about half as wide as the pattern piece. It’s really fun to have made something for myself again! 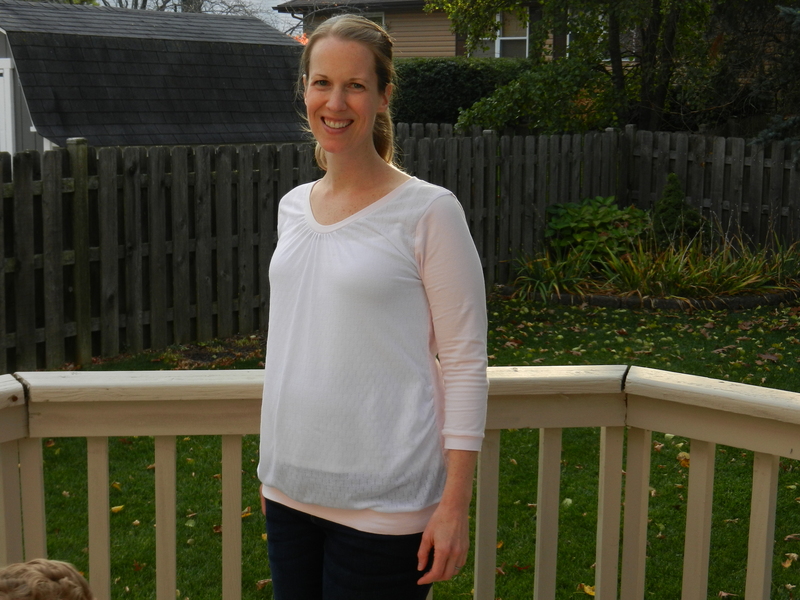 While I don’t want to go crazy making maternity clothes that will only get worn for a few months, it is nice to have something new to add to the rotation! 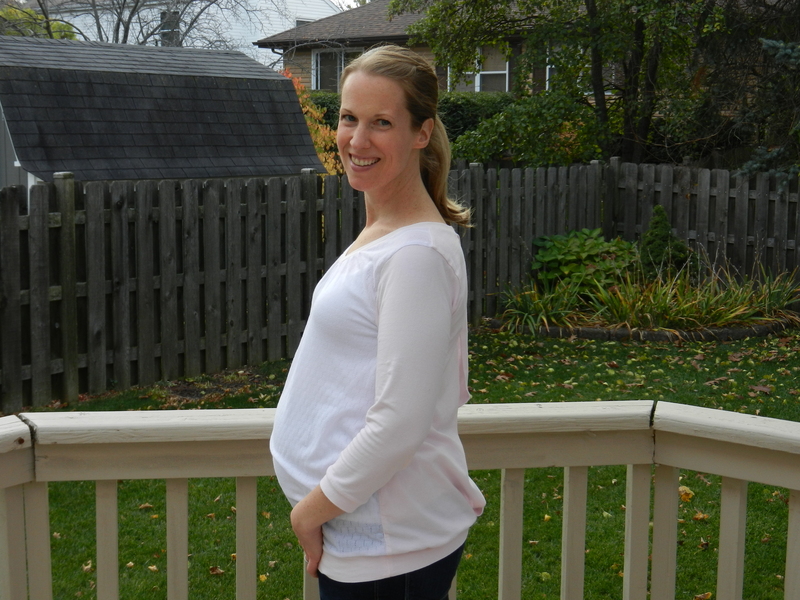 I am kicking around trying a Sutton blouse made maternity, too. It’s such a pretty pattern and I can see it layered with a cardigan for the Fall and Winter. You’re looking really well! 🙂 I remember really enjoying having just a few ‘prettier’ items in my pregnancy wardrobe made all the difference. The back detail on this is really lovely, I think you should definitely make another. Thanks! I love the back detail and I just got a pale pink maternity tank that looks nice with this top. It’s a fun pattern that I know I’ll use multiple times. That top is lovely, the pink and white is so pretty! Thank you! I really like the color combination, too. Oh, I can’t wait to be able to make all the non-maternity projects that I have in my head now. I just hope I will be able to find the time to sew with 3 kids! This looks really nice and I love the back detail. You did an awesome job! Thanks, Heather! I am glad my modifications worked out. Thanks, Fiona! I assembled the Sutton pattern yesterday and I can’t wait to get going on cutting/sewing it! Lookin’ good, mama! This is a really cute top, actually, although I can see how it wouldn’t be warm enough for really cold weather. I had my babies in the Spring and remember being so annoyed about having to bundle up in warm clothing when my skin was so sensitive and yuck. I seem to recall lots of soft scarves and cardigans over t-shirts much like this. Oh yeah, I am not looking forward to the winter, especially if it’s as harsh as what we had last year. I hope that someone in this household owns a coat that will fit over my belly when it gets really cold!